WRAPPING UP: To commemorate the end of the calendar year, we are adding a special section to today’s volume, The Year In Review. The first volume of 2017 will also feature a special section, The Year Ahead. 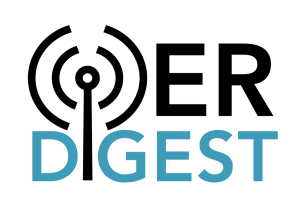 Please send your thoughts, ideas, and predictions to oerdigest@gmail.com or tweet us at @oerdigest. Thank you for your continued interest, feedback, and contributions to this periodical. On behalf of the OER Digest team, happy holidays and we look forward to connecting in the new year! OER YOUTUBE PLAYLIST: This week the Council of Chief State School Officers (CCSSO) published a series of YouTube videos that answer basic FAQs surrounding the use of open educational resources. These videos were created to introduce OER to educators, school leaders, and the community as a whole. The videos feature OER leaders from the fields of education, nonprofit, and research sectors whom explore topics such as: What is OER? How can OER help educators? and How can I find OER? OGP SUMMIT: Open Education was a hot topic at the Open Government Partnership Summit held last week in Paris, France. Several sessions address education in the context of open government, including the workshop Opening up Science and Education in OGP Countries organized by SPARC, which included speakers from the White House, Creative Commons USA, and participants from more than 10 countries. OPEN POLICY REPORT: Last week, the Open Policy Network released a report examining the state of open policy around the world. This report documents global achievements with sections written by regional open policy experts. It provides an overview of open policies in 38 countries, across four sectors: education, science, data and heritage. The report also includes an Open Policy Index and regional impact and local case studies from Africa, the Middle East, Asia, Australia, Latin America, Europe, and North America. #GOOPEN REACHES 100: This week, the U.S. Department of Education’s K-12 #GoOpen campaign reached a historic milestone, 100 school districts from across the country committed to the use of openly licensed educational materials. The initiative has also grown to include commitments from 19 states. Check out the Office of Educational Technology’s website for more information, including the #GoOpen District Launch Packet and district innovation stories about using OER. Z-DEGREE ON THE RISE: This year multiple commitments were made to developing “Zero Textbook Cost Degree” programs across the country. The OER Degree Initiative coordinated by Achieving the Dream seeks to establish programs at 38 community colleges across 13 states over the next three years. The California government also approved $5 million in the state’s budget to fund the development of zero textbook cost degrees. The newly-approved state funds will be distributed as grants to California community colleges, where students are hardest-hit by textbook costs. OPENSTAX: This year, Rice University’s OpenStax published four new titles, Astronomy, University Physics (3 volumes), Microbiology, and American Government! Openstax also launched a successful partnership with OER Commons to create OpenStax Community Hubs, an online space where faculty can share additional teaching and learning resources to support fellow OpenStax adopters. The student impact of OpenStax use also continues to grow. According to the 2016 Babson Survey, OpenStax texts are used in 10% of U.S. introductory courses. According to OpenStax’s calculations, over 1.6 million students have used OpenStax, resulting in student savings of $155 million, including $77 million during the 2016 – 2017 academic year. OPEN TEXTBOOK NETWORK: With active membership at 350 campuses, the Open Textbook Network has reached nearly 10% of higher education institutions in the U.S. Today, OTN’s faculty workshops are making a real difference with more than 40% of faculty adopting OER in their courses after participating in an OTN workshop. Nine early OTN members have reported a $1.5M savings in textbooks costs to students. BCCAMPUS: The Open Education team at BCcampus has had another successful year, increasing their collection to 170 materials which have been adopted by 790 course sections. In British Columbia, 22,000 students have been impacted resulting in total cost savings of over $2.8 million. BCcampus has also developed a number of new resources this year, including the OER Policy Development Tool, Student Toolkit and Pressbooks Guide. LUMEN LEARNING: In its mission to improve student learning outcomes through the use of OER, in 2016 Lumen Learning crossed the milestone mark of 100 colleges, universities and higher education systems teaching Lumen’s supported OER courses. This year, Lumen released enriched OER courses in College Success, Microeconomics, Macroeconomics, Principles of Marketing, English Composition I, Sociology, Basic Reading and Writing, Introduction to College Composition, and a Developmental Math sequence. Learning data from Lumen’s 2016 Waymaker courses, which combine OER with personalized learning tools, show that Waymaker courses erased the performance gap for Pell-eligible students and saw an increase of 5% amongst the number of students who completed and passed the course. BABSON REPORT: The Babson Survey Research Group released a national report assessing faculty awareness and attitudes regarding OER in U.S. higher education. The report shows OER is gaining ground in U.S. higher education, but still faces barriers our community is working to address. Some of the key survey findings were that faculty awareness of OER has increased, with 25% of faculty reporting that they were “Aware” or “Very Aware” of open educational resources, up from 20% last year and that open textbooks have gained a market share around 5.3% of courses. Open textbooks published by OpenStax have a 10% adoption rate among large enrollment undergraduate introductory courses. Another finding was the most often cited barriers to adopting OER by faculty are that “there are not enough resources for my subject” (49%), it is “too hard to find what I need” (48%) and “there is no comprehensive catalog of resources” (45%). FLORIDA VIRTUAL CAMPUS: This year, Florida Virtual Campus released it’s third report on textbook costs since 2010. This survey had more than 22,000 students from all of Florida’s public colleges and universities voluntarily participate in 2016 alone. Some of they key survey findings were that the cost of textbooks is negatively impacting student access to required materials (66.6% did not purchase the required textbook) and student learning (37.6% earn a poor grade; 19.8% fail a course). The report also found that cost impacts graduation rates and course accessibility; students reported that they occasionally or frequently take fewer courses (47.6%); do not register for a course (45.5%); drop a course (26.1%), or withdraw from courses (20.7%). OER EFFICACY: This year, John Hilton lll released an important article exploring the efficacy and perceptions of OER. This article synthesizes the results of 16 studies that examine either the influence of OER on student learning outcomes in higher education settings or the perceptions of college students and instructors of OER. Results across multiple studies indicate that students generally achieve the same learning outcomes when OER are utilized and simultaneously save significant amounts of money. Studies across a variety of settings indicate that both students and faculty are generally positive regarding OER and find that they are comparable in terms of quality to traditional learning resources. This begs the question, what exactly is being purchased with that $1000? FEDERAL K-12 POLICY: As the 114th Congress draws to a close, several pending open educational resources issues will likely be put on hold until 2017. Congress is poised to delay final action until at least April on the fiscal year 2017 appropriations process, including setting funding levels for the Student Support an Academic Enrichment grant program established by the Every Student Succeeds Act. The SSAE program permits state and school investments in open educational resources, but like other new ESSA initiatives, it has not yet received year one funding. In addition, we also expect Congress to forgo final action on efforts to reauthorize the Perkins Career and Technical Education Act. EVENT: BCcampus is hosting the 2017 Open Textbook Summit May 24-25 in Vancouver, B.C. The call for proposals closes January 20th. OPPORTUNITY: BCcampus is looking for three B.C. faculty interested in becoming Open Education Advocacy and Research Fellows. The deadline to apply is December 19th. OPPORTUNITY: Interested in participating in a multi-institutional study aimed at producing research based persuasive evidence for advocating for OER. Contact Dr. Robin Donaldson (University of West Florida/ Florida Virtual Campus) at rdonaldson@flvc.org for more details. Header image by By Pavlofox.